Put our 40+ years of experience to work for you! About Us James Kachnovich and son Toby Kachnovich, both licensed Professional Land Surveyors, have been surveying properties in Maine for over 40 years. If they have not surveyed your property, they've probably surveyed property near it. Please do not hesitate to call us during the winter months. Even with a lot of snow we can still research property and prepare for field work. Remember, a great deal of the cost of a survey is the research. Our goal for every project is to present a quality professional service, at a competitive rate and a completion in a timely manner. 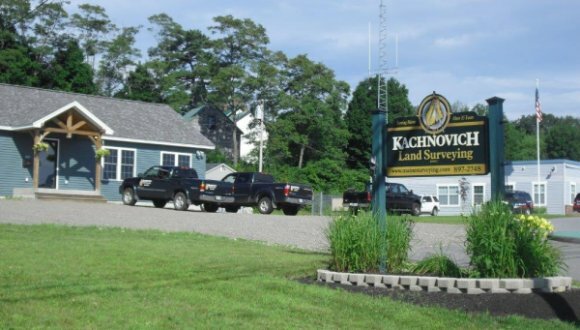 Kachnovich Land Surveying are long time members of the Maine Society of Land Surveyors and American Congress of Surveying and Mapping and the Jay, Livermore, Livermore Falls Chamber of Commerce.